Not only did I ski, eat, Aprés & drink wine in Zermatt, Switzerland ~ I shopped! Lots. Today’s post is a fun little look at a few nibbles, hats, ski clothes and purchases I made on that trip…Happy Friday! Cookies & gummies. Thats what my kids asked for. They are sooooo hard to please. Kidding. I found these Chocoly Biscuits & was sold by the packaging. I LOVE that silly cow face. My kids love the crumbly, crispy biscuits with creamy chocolate filling. Yes, I stole a few from them. And St. Bernard puppy dogs. They sleep with these pups every night. A win! I purchased a slew of goodies at my favorite on mountain lunch spot Chez Vrony. I went there everyday & will be posting the amazing images from this hot spot soon. Isn’t that fur trim great?! Uh. More flame red. I LOVE this color! Moncler is an obsession too. This is a spring weight down jacket. Perfect for nights out at the New Sheridan Chop House in Telluride. Gum. If you have ever met me then you know I chew lots & lots of gum. I love this Wild Cherry flavor by Stimorol, sometimes I mix it with the Original Peppermint flavor for kicks. I also love these little black currant Bach Rescue Pastilles. Not sure what they rescue me from, but I like them anyway. 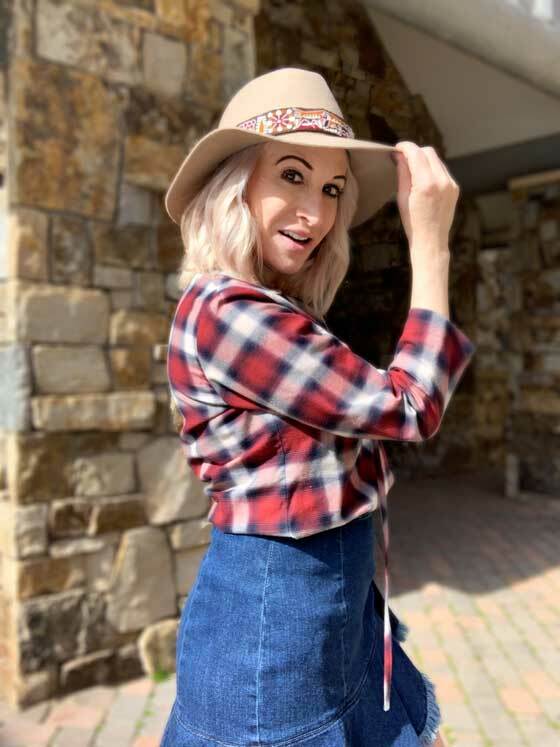 Every gal needs a great chapeau (or in my case a hat for everyday of the year) This traditional Swiss hat knocked my socks off at Bogner…. My hair needs to look great under my hat, this herbal Rausch shampoo & conditioner does the trick. I love the way it smells too! I forgot to bring a backpack ~ essential for day hikes & camera gear. I found this Mammut pack that is the perfect size for shopping mountain towns & the hiking the alpine wilderness. Last but not least. Token souvenir patches. I can sew these onto my new backpack to make it look more authentic. Thanks for joining me for some Swiss shopping! A wonderful bounty! Great stuff. Looks like a fun shopping spree! Loving this travel shopping recap. Shopping is such a fun part of vacationing. Your posts give me inspiration to blog about our Paraguay trip we just returned from. Thanks Regina!! Shopping really is such a fun part of travel. A smart thing to save up for! You totally should write a post about shopping in Paraguay. I bet your readers would love to see it! I know I would. Come back over here & leave us a link if you publish that! What a fabulous shopping spree, looks like you had a wonderful trip! I’ve always wanted to try candies from a different country! Eating and shopping are two of my favorite travel activities as well!